Studying at Proyecto Español not only gives you lots of knowledge of the Spanish language, but will give you so much more than that. Some students are here for a long time and therefore make lots of new friends because of all the time they spend together in classes, at different activities and outside of the classroom! 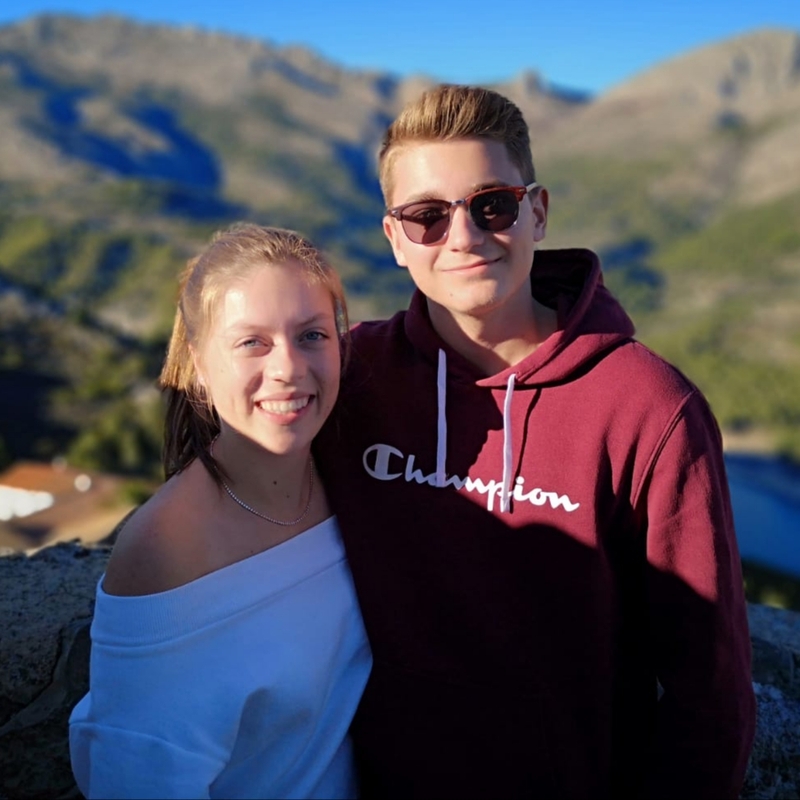 Students Liz (from Holland) and Luca (from Switzerland) also met at Proyecto Español and now have a great relationship and lots of memories together. They both have a gap year and wanted to use it in a useful way. Liz mentioned that she has been going to Spain for the past 10 years and could only order a drink, which she thought was ´kind of embarrassing´, and that´s why she wanted to practice her Spanish here and improve her skills! Liz and Luca both chose Alicante as the city to study their Spanish because it is not too big, it is a cheap city to live and it looked very charming on pictures. When asked about where they want to use their Spanish for, Luca mentioned: ´ for myself, and I want to travel through South America and I´m sure I can use this there and also in further points in my life´. Liz doesn´t know yet where to use the language for, but for sure for whenever she comes here, and is also learning it for herself! ´The classes were awesome and the teachers are really good in comparison to the Dutch teachers. I was kind of scared in the beginning because the teachers were only talking in Spanish, but then it all went really well´, Liz said. Luca mentioned that the conversation classes were amazing too, ´we could have deep talks, but also play fun games´, he said. They also said the school has such an amazing atmosphere and the building is very modern. The café inside of the school is really nice as well and it is located right at the city center surrounded by cool restaurants and bars! From time to time they talk Spanish to each other and make jokes in Spanish. They also help each other with homework sometimes. When asked about their best experiences they both mentioned the ´Santa Barbara´ castle, going out at night, the amazing food places in Alicante, the friends they made and the amazing weather. Liz and Luca had an amazing time at Proyecto Español and would definitely recommend it to other students, they said. They are both back at home now but they made memories that they will remember forever!